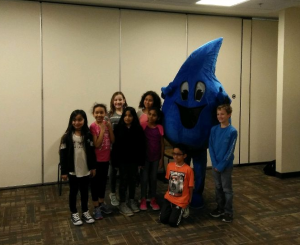 On April 11th, 2018, the Protect Wisconsin Waterways crew presented to children at the annual UW-Whitewater Science Outreach Fair. The event included 120+ children from Lincoln Elementary School in Whitewater. 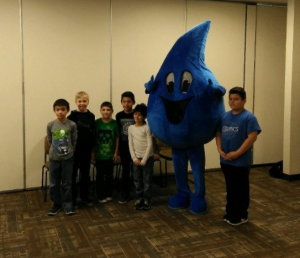 Our presentation included stormwater videos and facts. After the presentation, we separated the students into groups and gave a demonstration using the Enviroscape model. The children engaged with both the presentation and the Enviroscape. They asked many questions about how to help which we were happy to answer. By the end of our presentation, all students were given some Protect Wisconsin Waterways swag.